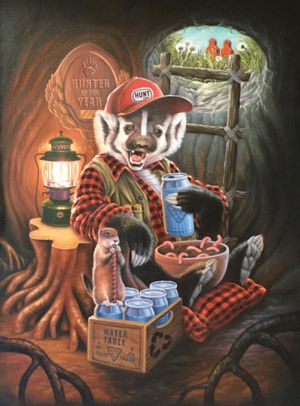 From a talking moose to a cheery badger, promoting the importance of used oil and antifreeze materials offers creative and entertaining possibilities. Not unlike Bullwinkle, the moose featured in SOGHU’s latest 30 second TV commercial offers sage advice to the handy man about recycling potentially hazardous materials. The moose is iconic. A badger is one of six talkative animals featured in a series of 60 and 30 second radio commercials currently airing in Saskatchewan. Developed originally as illustrations, the six “critters” are shown in a humanized environment. Under the banner, Mother Nature Thanks You, they talk to farmers, DIY mechanics and businesses about why they need to recycle. Give a listen at http://usedoilrecyclingsk.com/news-events-programs-media.php (click on the badger). It’s the best summer job in the world! Travel! Entertain! Inform! Recycling Ambassadors do all this and more. Each summer, eager university students are hired by each of the four western Canadian UOMA. From cottage country on Manitoba’s eastern border to Vancouver Island, each summer the selected Ambassadors deliver the recycling message in their respective provinces. They visit community events, annual fairs and exhibitions, Show ‘N Shines, rodeos, wherever people gather in the warm weather. Branded canopy tents go up. Special merchandise and information pieces are set out on tables. In Manitoba, there’s The Wheel of Recycling Fortune. The Ambassadors talk to people about why used oil and antifreeze materials recycling is important. Where the nearest collection points are. How easy it is to recycle. Where it all began. Mr. Oil Drop in Turner Valley, Alberta. 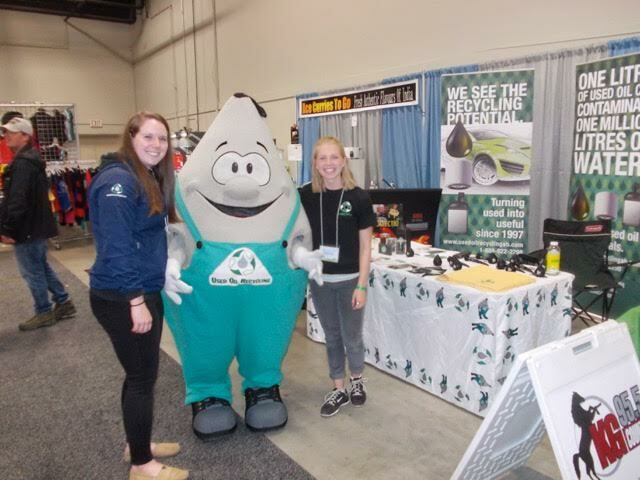 And the highlight of each event is the appearance of our mascot, the friendly face of recycling in western Canada, Mr. Oil Drop. In Manitoba, he’s accompanied by Mrs. Oil Drop. Auntie Freeze is his partner in promotion in Saskatchewan. 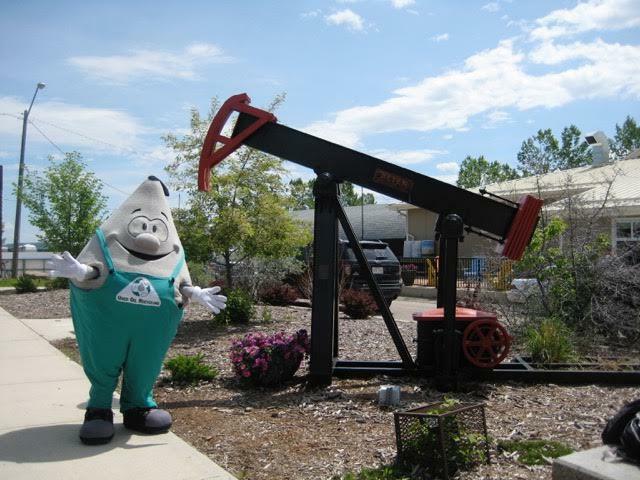 And in Alberta, there are the Mr. Oil Drop twins, one travels the northern part of the province and the other, the southern. Kids love the mascots as do event organizers and local media. on on how to participate in the programs. In 2014, the teams visited 1,710 facilities, attended 24 community events and met with 17 different Regional Districts. SOGHU supports a special outreach program that delivers the recycling message but with a difference, the CFER Network. A CFER is a business-school program for training special needs students ages 15 to 18 in the business of recovery and recycling. (http://reseaucfer.ca) The graduates become employable in companies with recycling programs. As part of the CFER outreach, a Recycling Information Caravan featuring students visit schools and businesses promoting environmental sensitivity about recycling, protecting water and energy efficiency. Annually, they reach 30,000 people. Getting our message out is important. For more specific information on the communications used by the different provincial associations, visit the association’s website and read all about it in their latest annual report.